Every year, millions of people watch the Academy Awards, but when the short categories are announced many head to the kitchen to get a snack, because few if any of the viewers at home have even heard of, let alone actually seen, any of the nominees. Magnolia Pictures and Shorts International are hoping to change that, and have been releasing the short film nominees theatrically for the past several years. Over the next few days, the staff at From the Front Row will be spotlighting these films, in hopes of raising awareness of these underseen and overlooked gems. The following are the 2012 Oscar nominees for Best Documentary Short. As he cuts hair behind an old chair held together with duct tape and history, Armstrong recalls a life well lived, fighting for the betterment of his fellow man. 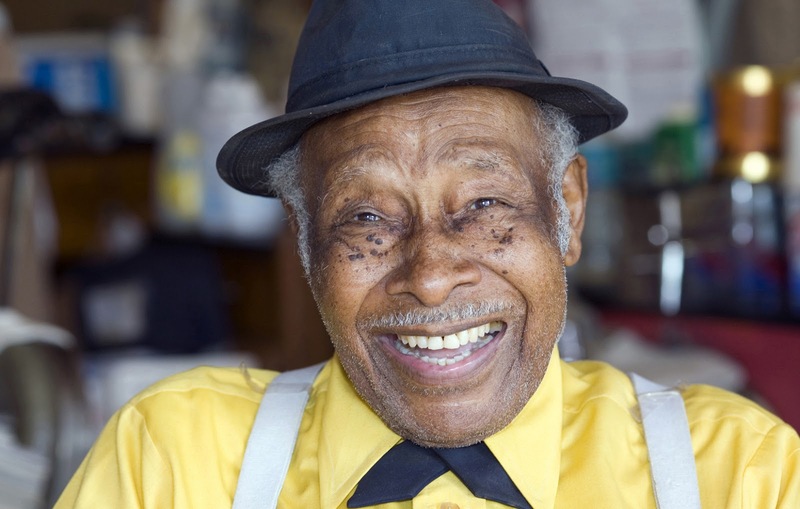 An American flag he once carried as he marched from Selma to Montgomery adorns his wall, along with pictures of customers, some famous, some not, he has served over the years. It'a loving tribute to the heroes who don't have monuments on the Washington Mall, the men and women who were on the front lines of the battle for equality. The filmmakers couldn't have picked a better subject than Armstrong, who is a warm, charming presence, and the film exudes his irrepressible spirit with tenderness and grace. *NOTE* God is the Bigger Elvis will NOT be shown as part of the 2012 Oscar Nominated Short Films program. Nuns and movie stars are two things one doesn't often think about in the same sentence. But for Mother Prioress (formerly Dolores Hart), she has lived both lives, and gave it all away for a closer walk with God. as Dolores Hart, Mother Prioress starred in films with the likes of Elvis Presley, Warren Beatty, and Anthony Quinn. She starred in the 1960 teen comedy Where the Boys Are, and was well on her way to becoming Hollywood's Next Big Thing. She was even offered a 7 year contract and was engaged to be married. But something was missing. After a visit to a monastery, Hart realized what she was missing, and decided to devote her life solely to God. She called off her engagement and joined the monastery as a Benedictine nun in 1963 (right after the release of her final film, Come Fly With Me, starring Karl Malden). Today, Hart is a warm and endearing presence, who doesn't regret her past in the movies and doesn't begrudge those who choose that path. It just wasn't for her. 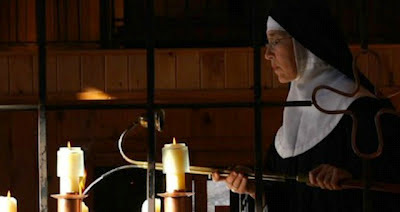 God is the Bigger Elvis examines her motives for giving up Hollywood for the Church, as well as her works afterward that lead to her becoming the monastery's mother superior. It's a charming, unassuming, completely unpretentious little film that spotlights a story so unusual, and so heartwarming, that it just had to be told. One of the problems with short films, especially documentaries, is that sometimes there is just too much information to be crammed into a short running time. Such is the case with James Spione's Incident in New Baghdad, which takes a look at an infamous event that occurred in Iraq in 2007, in which unarmed civilians, journalists, and children were killed by an American helicopter on the lookout for insurgent activity. The incident itself, which we witness in its entirety from footage taken from a surveillance camera (released to the world by WikiLeaks), is horrific enough. But the aftermath is the most disturbing. As seen through the eyes of US Army Specialist Ethan McCord, the images of the bloodied children that he helped rescue burn into the memory. 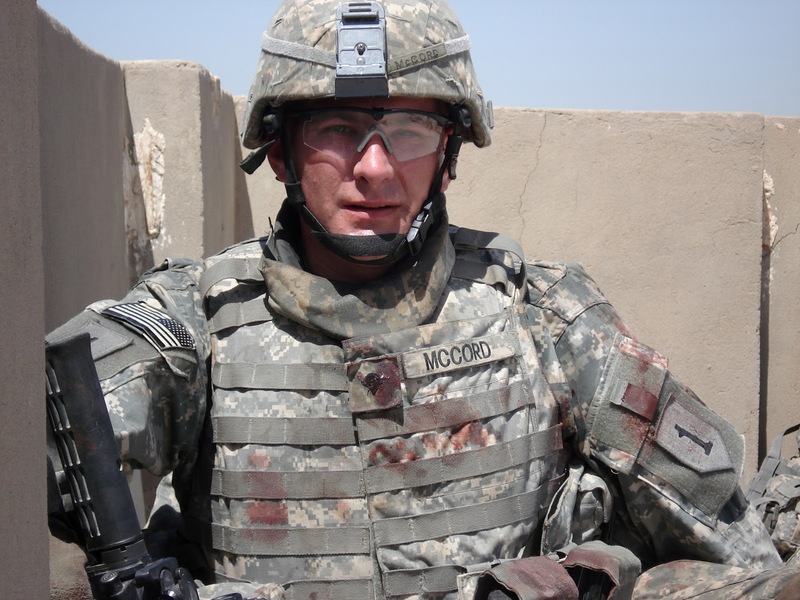 Upon his return, McCord suffered from Post Traumatic Stress Disorder, after being told by superiors that seeking help while still deployed would result in his being labeled unwilling to perform his duty. The film takes a hard look at the actions of the US military in this case as well as the plight of soldiers suffering from PTSD, an often misunderstood condition. There are a lot of things going on in Incident in New Baghdad, all of which deserve more attention than its 25 minute running time allows. This really should have been a feature length documentary. The issues that it examines are important, if not essential, and they're questions that we as a nation should be asking. The problem is that the film just doesn't spend enough time on them to really flesh them out. It needs more insight, more multifaceted exploration of the issues that it raises. An expanded version of Incident in New Baghdad could be an incendiary, eye-opening experience. Instead, it feels like a partial sketch of a much longer, and much better, documentary. While the footage of the massacre in Incident in New Baghdad may be tough to swallow, there is really nothing else out there quite as ghastly as what we see in Saving Face. Before seeing this film, I was completely unaware of the truly awful phenomenon of acid attacks in Pakistan, where husbands attack their wives by throwing battery acid in their faces, permanently disfiguring them. We meet three such women here, each attacked by their husband for different reasons - either for wanting a divorce, or something even more frivolous. The men themselves justify themselves by claiming their wives were having affairs. The women just want their lives back. 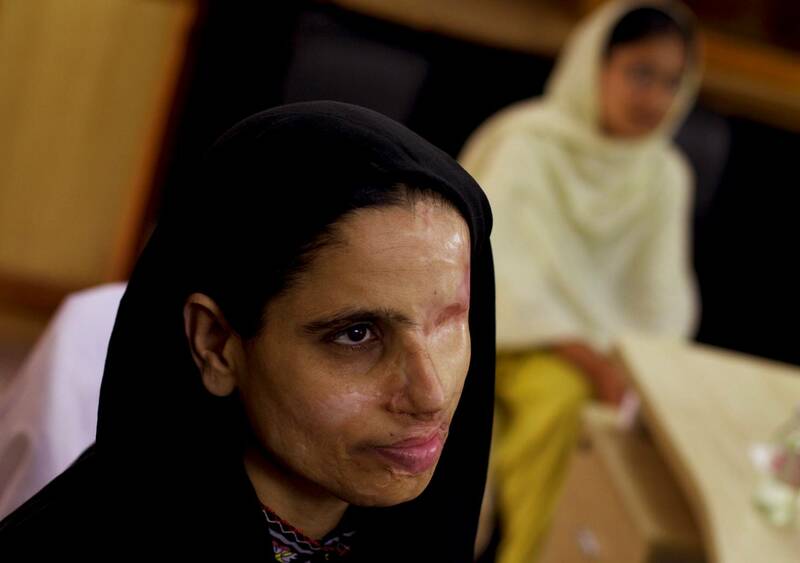 Enter Dr. Mohammad Jawad, a British cosmetic surgeon who has traveled to Pakistan to help these women reconstruct their faces and reclaim their lives. As Jawad seeks to give them medical help, political activists seek justice for these women, whose attackers often get off scott free. Saving Face is a disturbing but inspiring look at an issue we here in the west hear little about. The interviews with the victims are heartbreaking, but rather than wallow in their despair, the filmmakers focus on the hope given to them by Dr. Jawad and their advocates in the Pakistani Parliament. It's a tough pill to swallow, but Saving Face is ultimately a redemptive, remarkable experience. 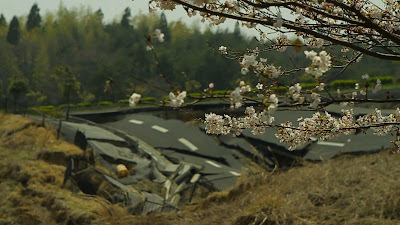 Out of all the nominees for Best Documentary Short, none is so moving or so powerful as Lucy Walker's The Tsunami and the Cherry Blossom, which uses the cherry blossom of a symbol of Japanese character and resilience in the face of disaster following the tsunami disaster in March, 2011. The film begins with raw footage of whole villages being swept away by the raging waters of the Pacific. It's some of the most harrowing footage in any film this past year, trumping any of the carnage in destruction in Transformers: Dark of the Moon. This is real, and it's terrifying. It's hard to fathom destruction on such a large and inescapable scale, but it provides some insight into what the survivors really went through. Listening to their accounts of the disaster while actually seeing what they're talking about is wrenching stuff, but it's the personal stories of tragedy that really stick in the mind. But like Saving Face, The Tsunami and the Cherry Blossom is an ultimately uplifting experience. To the Japanese, the cherry blossom represents many things, but as the pink blossoms bloom in the wake of disaster, they come to represent resilience in the face of hardship, and rebirth in the face of tragedy. It is at once an elegy for the lost and a poetic ode to those who are left to carry on their memory. As the cherry blossom returns again every year, so too will the Japanese people rebound from this horrible disaster. Walker's film is a testament to their spirit, and the very best of this year's crop of nominees. Walker deserves this award, and The Tsunami and the Cherry Blossom deserves to be seen by as wide an audience as possible. This is what great documentary filmmaking is all about. The Oscar Nominated Short Films 2012 will open in 200 theaters nationwide on Friday, February 10. GOD IS THE BIGGER ELVIS will not be included in the program, and will premiere exclusively on HBO on April 5th.